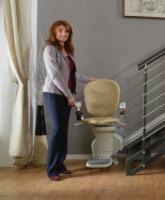 Call our stair lift experts @(800) 746-5647to help you through the selecting and measuring processes. 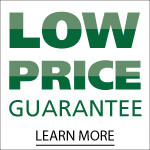 Our reconditioned stair lifts offer you a happy medium between a new and used model - good warranty coverage at a lower price. 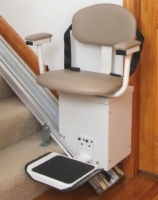 Our reconditioned stairlifts were formerly used as demo units at trade shows or in storefronts, so they have been very lightly used. Our technicians inspect each unit top to bottom before resale, servicing them fully to ensure that you won't be able to tell the difference between a reconditioned model and a new one! 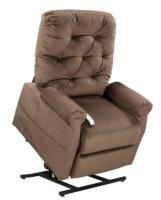 Contact our mobility specialists today to order yours! 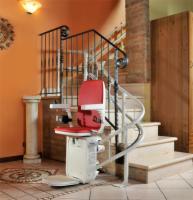 Seeking more information on stair lifts? 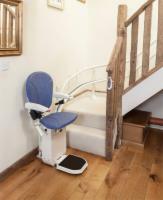 Check out our stair lift buyer's guide! 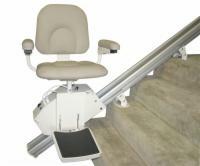 Click here for a side by side comparison of Reconditioned Stair Lifts.